In recent years, Portugal has become one of the main tourist destinations in Europe, both by historical and cultural aspects and by the reputation as a cheap and safe country. And if tourists’ eyes are turned to major cities such as Lisbon or Porto, the attention of traveling surfers focuses on the long coastline that the country offers. From Caminha to the tip of Sagres, there are beaches with some of the best waves in Europe. Many of them already known internationally. If you are a surfer and are thinking about visiting Portugal for the first time, or if you are in Portugal but never left the beach where you learned to surf, then: this post is for you! This is a controversial topic, since determining whether one wave is better than another depends on a number of factors — whether the surfer likes bigger or smaller waves; if you don’t mind cold water or if you do not put a foot in it if it’s below 17 degrees celsius; if you prefer rock bottom or sand, etc. But regardless of the personal preferences, the following waves have already proved to be world-class and are (almost) a mandatory stop on any surf trip. 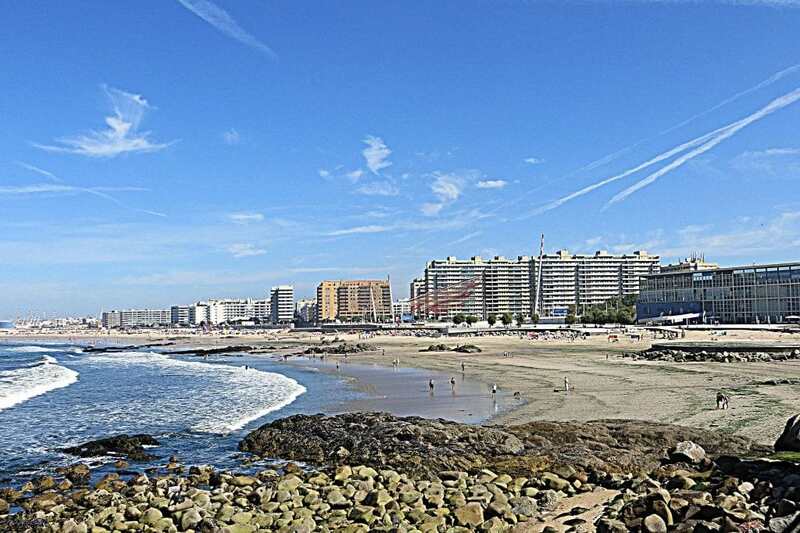 Sometimes it's difficult to think of surf when we talk about Porto, but the truth is that Praia de Matosinhos is one of the main places to practice the sport in the north of Portugal. Going from Castelo do Queijo to the mouth of the Leça River, this long stretch of rocky sand offers waves for all levels of surfers. The hard part is choosing the best place to go in. What not to say about Porto?! After the capital, the Invicta is the second most known city of Portugal. And since we’re speaking of Matosinhos, know that from there many seamen left to join the Portuguese Discoveries. Don’t miss: Porto’s Downtown and a boat trip along the Douro River. Did you know that Buarcos is considered the longest right in Europe?! Depending on the swell, the bottoms, and the wind, here you can surf waves until your legs hurt. Enjoying some protection offered by Boa Viagem Mountain, this extensive beach doesn't leave anyone indifferent, be it summer or wintertime. Situated by the mouth of the Mondego River, Figueira da Foz has long been one of the most popular bathing resorts in the country. Its history as a beach destination goes back to the 19th century and to prove its historical heritage there are some buildings that stood the test of time. This is perhaps the beach that has made more headlines or worn out more computer keys in the past years. In this location Guinness World Records have been broken on Praia do Norte. 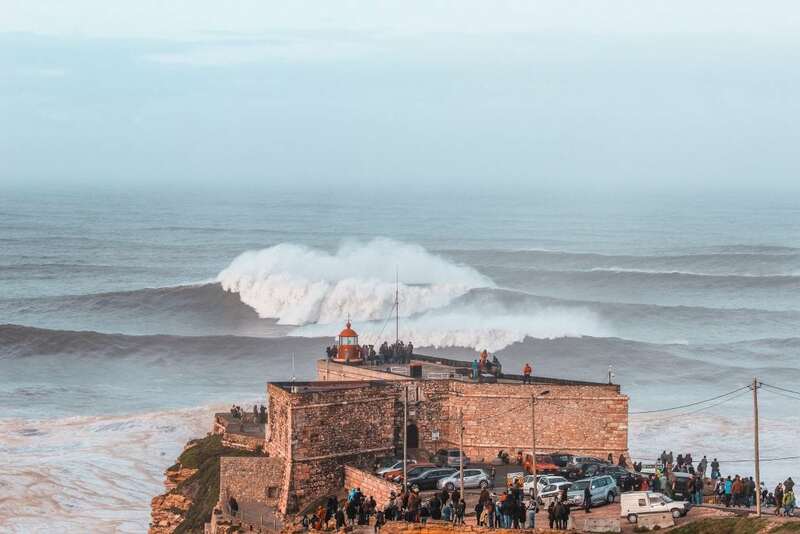 Surfers from all over the world come to Nazaré to face the water avalanches brought by winter swells. Even in a smaller day, the Nazaré wave may demand everything from a surfer, so it's not suitable for the less experienced. It's, however, a beautiful natural show to watch. Nazaré has gained popularity since the surfer community discovered the potential of its giant waves. But the history and tradition of the small fishing village are long and this can be seen in its buildings and the people that live there. Don’t miss: the ladies with the seven skirts next to the main church, the elevator and a trip to the Fort of São Miguel Arcanjo. In Portugal, everybody always knew that Supertubos Beach is one of the pearls of Portuguese surf. 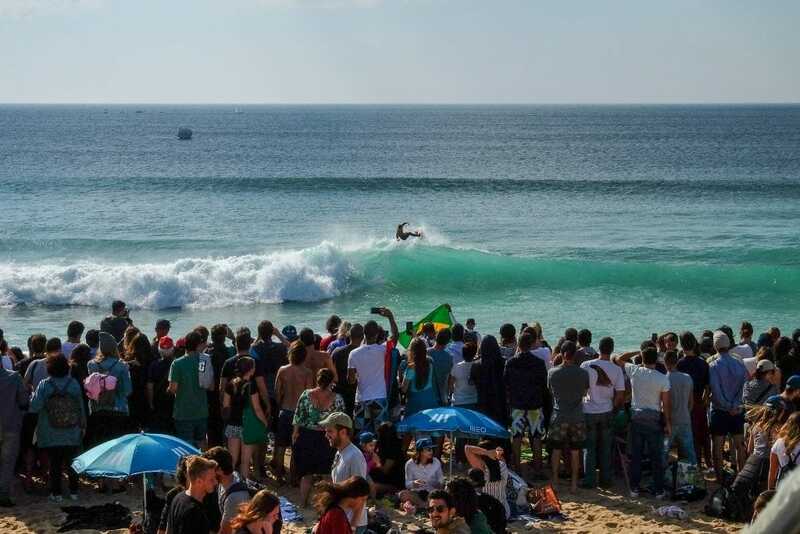 It was when the World Surf League brought here a stop in the WCT that the whole international community discovered this wave in Peniche. Since then, the best surfers in the world never left, and every year they come back for another event. This since 2009. Apart from competitions, the Supertubos wave is dubbed "Portuguese Pipeline" — Pipeline is one of the most famous waves in the Hawaiian North Shore. So, if you're a tube rider, this is the place to visit. Not to mention that in Peniche, it's always offshore in some place! Land of fishermen, Peniche lives facing the sea and its fishing port. The traditions remain like before but are more diluted due to the great tourist growth of the village. This is an excellent surfing destination and, therefore, surf shops, hostels, and surf schools proliferate. Don’t miss: a visit to the Fort and a trip to the Berlengas islands. 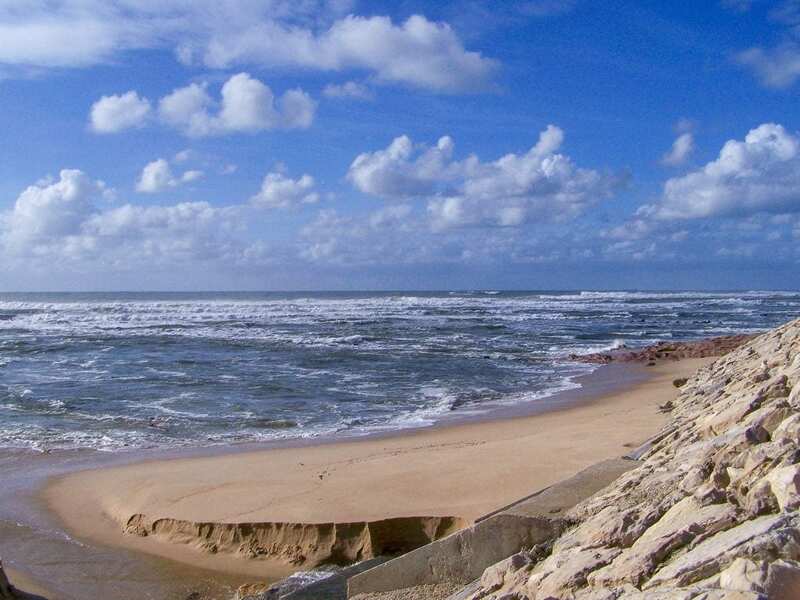 In 2011, Ericeira was elevated to World Surf Reserve (the second in the world after California), such is the quality of the waves that break on this piece of coast. But from the seven waves classified, Ribeira d'Ilhas is their queen. Nicknamed by many as the "twin sister" of Bells Beach in Australia, Ribeira welcomes surfers from all over and from all levels of experience. So count on with a lot of people in the water and a good deal of patience. A small fishing village, 50 km from Lisbon, Ericeira entered history books when the Portuguese king chose this port to escape to exile in Brazil, at the time of the republic revolution. Today, it remains one of the most beautiful and picturesque bathing resorts in the country (except for those who aren’t a cold water fan) and has become one of Portugal’s favorite surf destinations. 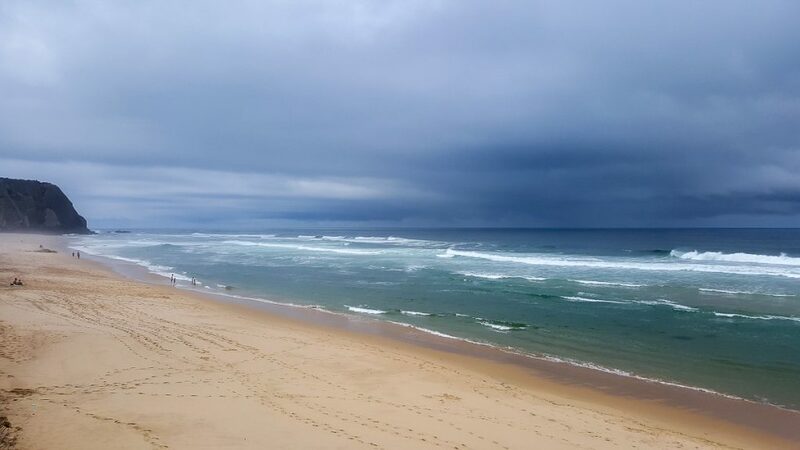 This beach has a very special place in my heart since it was the beach where I always fled to when there were no waves on Costa da Caparica, where I learned to surf. It took between 1h30 and 2h to get there by public transportation (at the time I didn't have a driving license or car), but when I was finally there the waves were guaranteed. Praia Grande, in the Sintra area, is a large stretch of sand, very exposed to the swells that reach the Portuguese coast. Since this is sandy bottom beach is very sensitive to the variation of the sands that change whenever a storm enters. Sintra is part of any travel plan for those visiting the Portuguese capital. A few kilometers from Lisbon, the beauty and history of its monuments, the mythical landscape, and the stories told, make this village one of the main tourist attractions in the region. 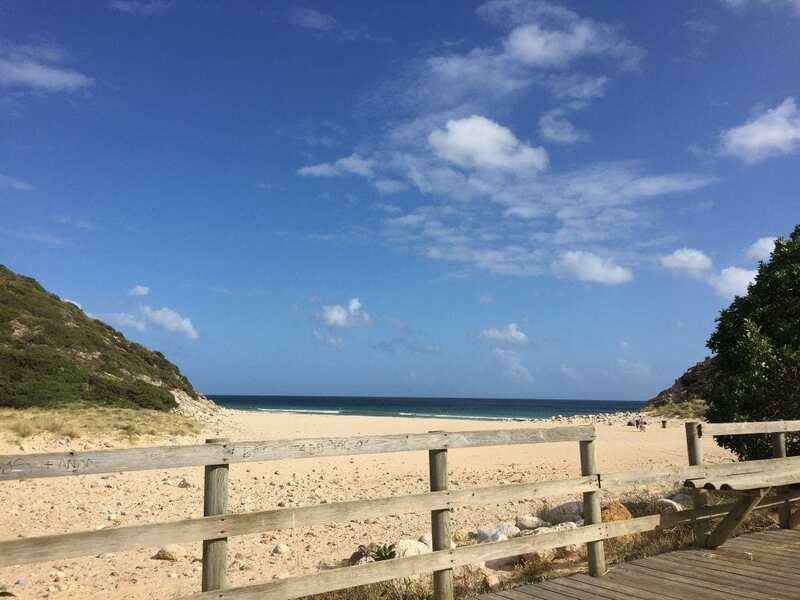 Don’t miss: a trip to Praia das Maçãs, taste the Colares wines and visit the historical center of Sintra (I recommend Quinta da Regaleira). It's one of the most beautiful beaches in the Cascais area, but also one of the windiest in Portugal. Surfing at Guincho is not simple, especially if the wind is strong... a recurring situation for those parts. But that doesn't stop this being one of the waves of choice for the most experienced surfers in the Lisbon region. Not to mention the beautiful view over the landscape of the Sintra-Cascais Natural Park. Only 20 km separates Lisbon from the beautiful village of Cascais, one that was once regarded as the Portuguese Riviera. Apart from the beautiful beaches stretching between Carcavelos and Guincho, Cascais is steeped in history and culture. To prove it are several museums and exhibition locations. 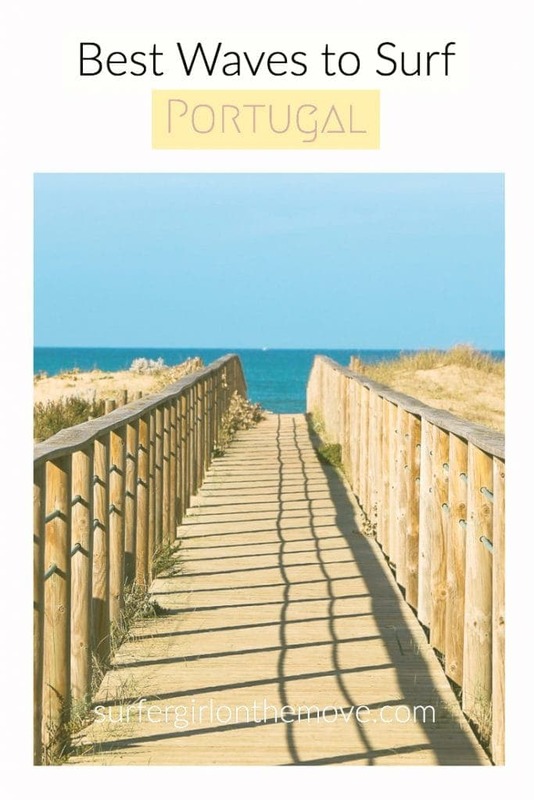 Let's go down on the map to one of my favorite regions in Portugal: Costa Vicentina. 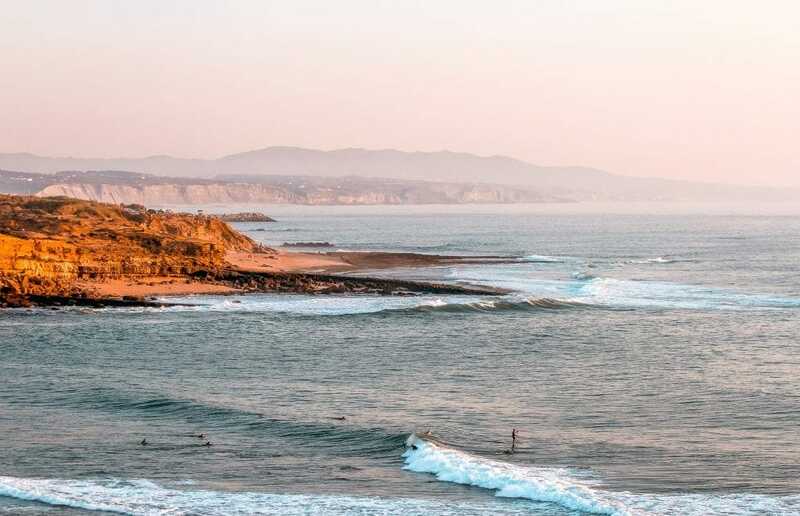 Around here, the coast holds great treasures of Portuguese surf and Odeceixe Beach has become one of the most sought after. This stretch of sand is bathed either by river or by sea, which makes it even more special. 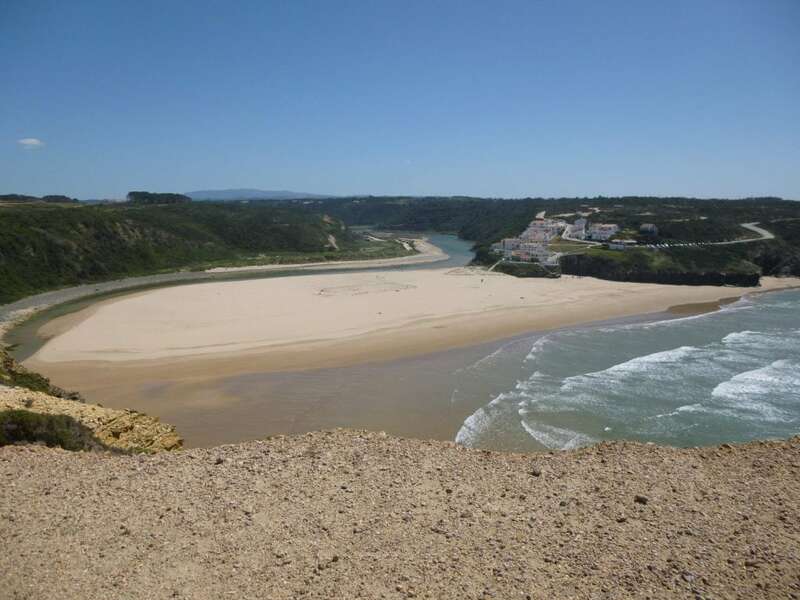 Not to mention that the whole environment that surrounds Odeceixe led to it being considered one of the 7 Wonders of the Beaches of Portugal. However, on the maritime side, waves aren't always easy to surf, so it's worth having extra care. Founded in the 10th century by the Arabs, Aljezur lives in its peace and quiet, only disturbed in the summer months. From the high cliffs that border the sand and dunes, to the wilder landscapes provided by the mountains of Espinhaço de Cão and Monchique, this is the ideal destination for nature lovers. Don’t miss: the Castle of Aljezur. On the south coast of Portugal, there are many spots that I could indicate here, but Zavial is a classic. If it were not for all the enchanting scenery of this small Algarve beach, the waves that break here also make the joys of many surfers. The more experienced ones find more challenging waves to the right of the beach, while the more initiated can try their luck in its middle. Being one of the best known on the south, expect some crowd in the water. There’s little to see in the small village of Vila do Bispo. 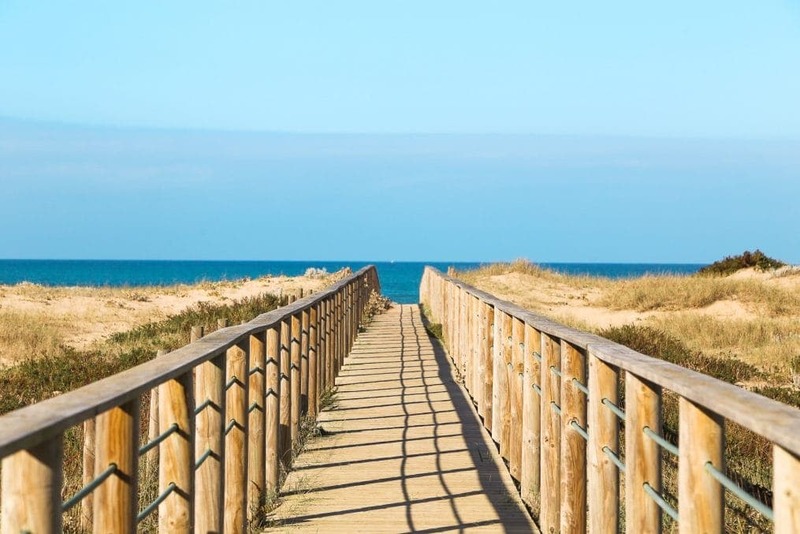 But around it… starting with the magnificent beaches: Cordoama, Castelejo, Ponta Ruiva, Beliche, Martinhal… the list doesn’t end. Hence this is an area much sought after by beach lovers who want to escape the typical confusion of the rest of the Algarve coast. Then there’s the lovely village of Sagres and the Southwest Alentejo and Vicentine Coast Natural Park. Don’t miss: a tour of Sagres. Did you like this list? 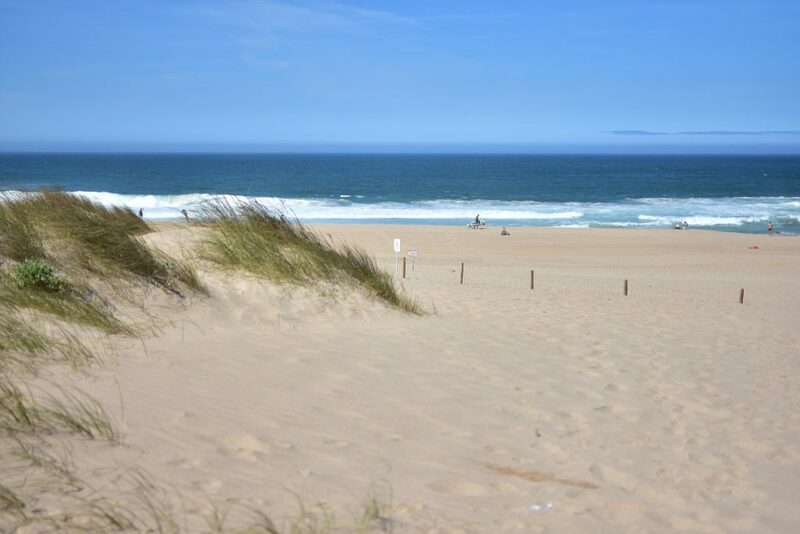 Do you know other beaches in Portugal that you think should be here? Give your opinion on the comment box below.